Photo of: East Coast of Ireland: Meath: Newgrange. 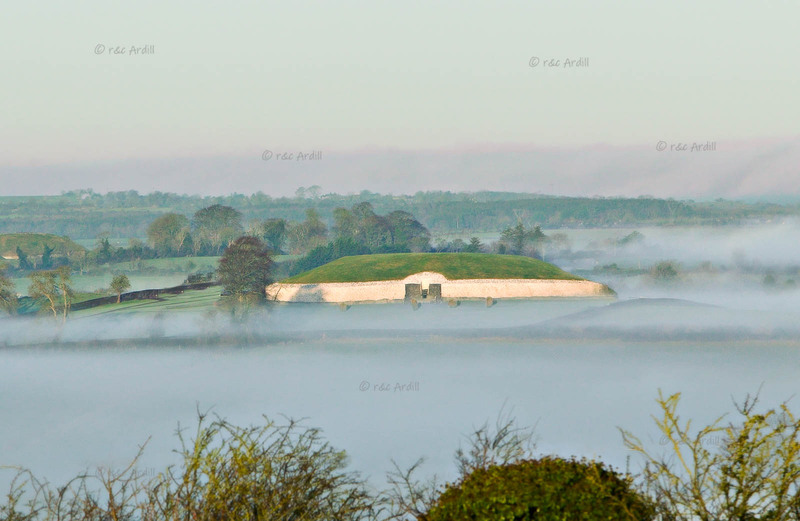 A morning view of the great Newgrange Neolithic burial mound. A thick mist hangs over the Boyne valley. To the front right of the tumulus can be seen a smaller burial mound partly obscured by mist.